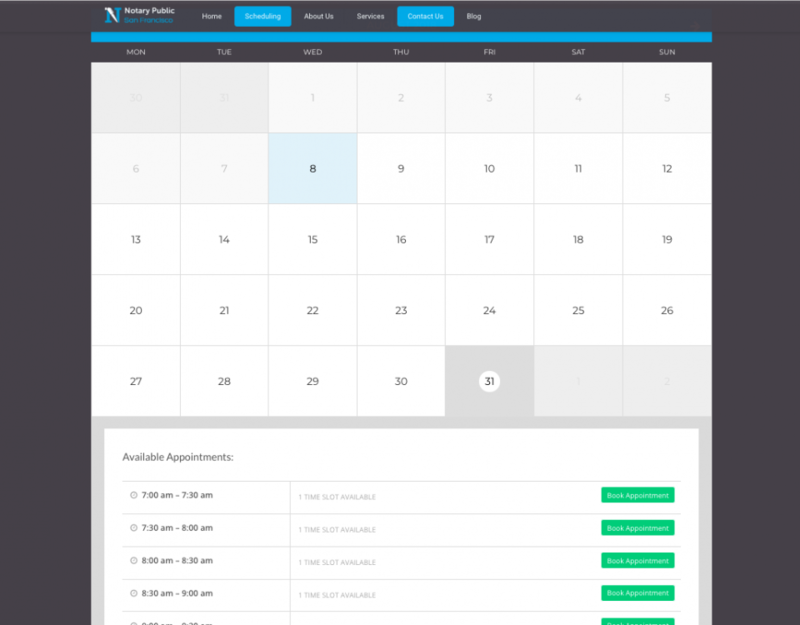 We have added a new feature to our website: a convenient mobile notary online self-scheduling tool that enables you to request specific mobile notary appointment times and dates. We believe this feature will make it easy for businesses and other clients to book our services. 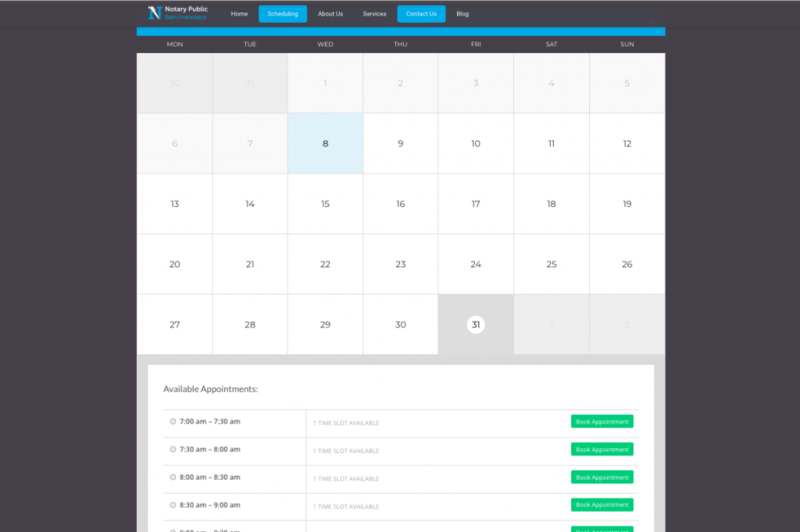 Our clients tend to be busy and appreciate maintaining their privacy, and this tool allows them to request an appointment in less than a minute, and no one will be able to overhear them talking about their business on the phone. This website contains general information about legal matters. The information is not meant as advice, and should not be construed as such. Do not treat this information as an alternative to seeking competent legal counsel from an attorney or as a reason to discontinue legal representation. For any questions about information found on this website, consult your attorney. If you do not currently have an attorney, please visit the California State Bar website to locate an accredited attorney in your area. This disclaimer does not limit Mobile Notary San Francisco’s liabilities in any way that would violate applicable laws and regulations. © 2015 Notary Public San Francisco. All Rights Reserved.